The Fact Facts card idea was inspired by a similar handout published by the John Locke Foundation containing information about the state of North Carolina. 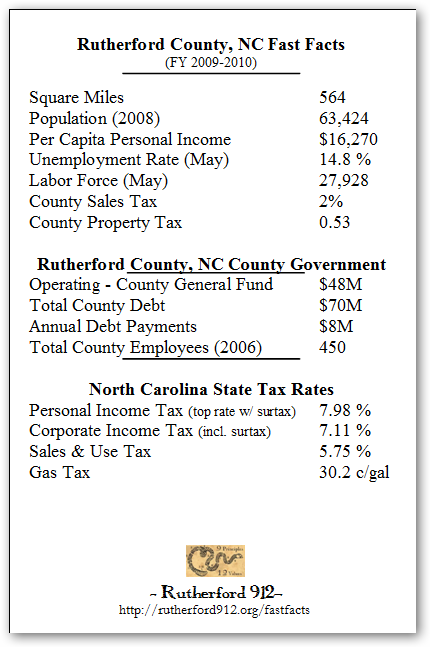 The Rutherford912 group's focus on local politics first is the reason why we decided to put together this Fast Facts card on Rutherford County NC and its government. Click here to download a printable version of this card, or contact us via email to request some of the cards we have already printed. 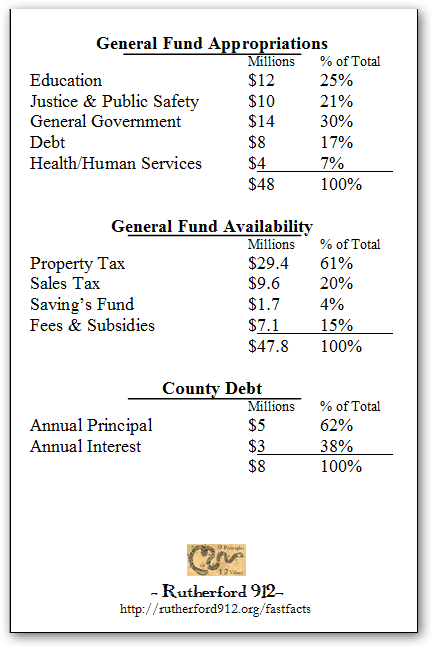 The card is a good way to quickly inform Rutherford County taxpayers about their local government financial and economic status, and thus start a conversation about education and involvement in our local government spending and operation. All 1990 amounts are inflation adjusted and are represented in 2009 Dollars.